Envestors and Moët Hennessy joined forces recently to celebrate the launch of the Platinum Members Club from Envestors. 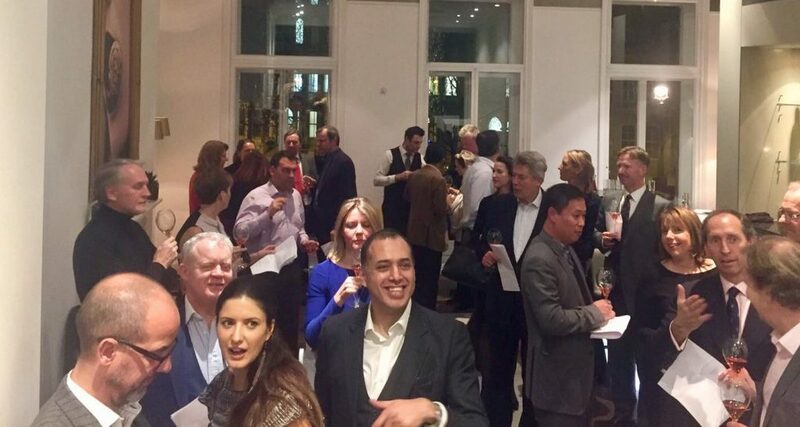 Held at Moët Hennessy UK premises in Grosvenor Gardens, SW1 the evening soirée was a unique opportunity to taste a range of different Champagnes and network with other investors from the newly launched club. Offering a range of premium services for up to 100 select private investors, the Platinum Members Club offers access to exclusive networking, social events and partner benefits. A personal relationship manager is provided, together with early notification of investment opportunities and includes the option of closer involvement with fundraising businesses and lead investment opportunities. Guests of the evening were also invited to order Moët Hennessy Champagne and wine at an exclusive Platinum Members Club price.